T8 Photography offer a range of corporate headshot services, so whatever your business requires we have the solution. We also will make it as painless as possible for everyone as we understand that most people hate getting their photo taken or you are just too busy, so we make sure that as well as getting amazing professional photos, we are efficient as possible! Also, you can come to our studio or we can bring our portable studio to you; whatever suits you and your staff best. 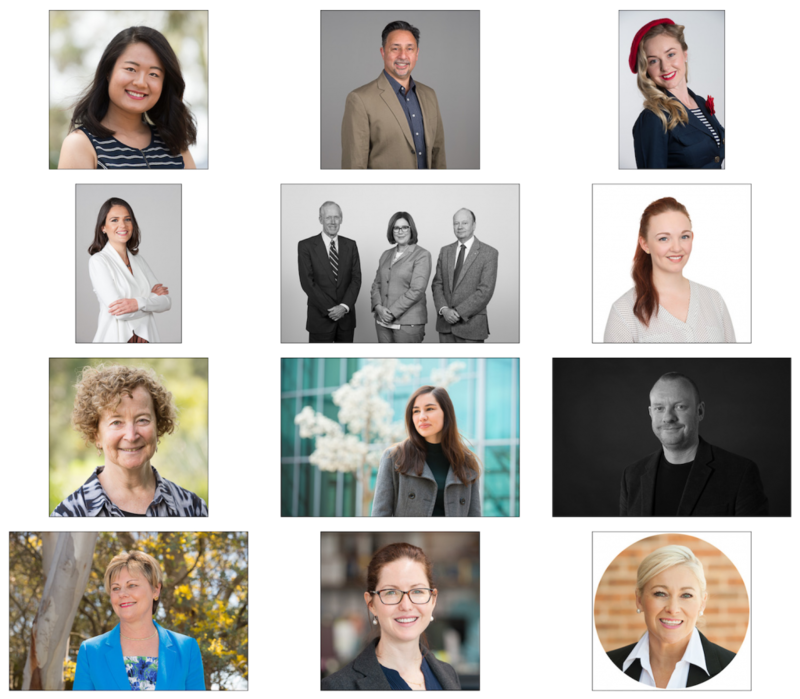 Here is a selection of the wide range of corporate headshots styles that are possible. Ranging from very formal to quite casual, from studio and white background, to environmental and from colour to black&white - there must be a style that suits your requirements! We come to you, or you come to the T8 Photography Studio in Mitchell. Our studio in Mitchell is set up for white, grey and black backgrounds, and we can also cater for full length photos if that's what you require. We have a full portable studio if it's more convenient for us to come to you. This reduces employee disruption greatly. We can set up any any room at your office or we can do environmental portraits around your office space. Studio style photos are using studio lights with a neutral background (white, grey or black). This is the most common type of corporate headshot. If you need to match previous photos taken, then we are able to do so if you can send us some samples. Studio portraits can be delivered in black & white as well as colour. Environmental style photos can be taken indoor our outdoor at your location or a location of your choice. These can include branding in the background, and office working environment, or whatever you desire. All photos are processed to make sure they are the highest possible standard. Some of the retouching steps include: removing facial blemishes, removing stray hairs, softening skin, reduction of double chins, colour correction, brightening of eyes and teeth.